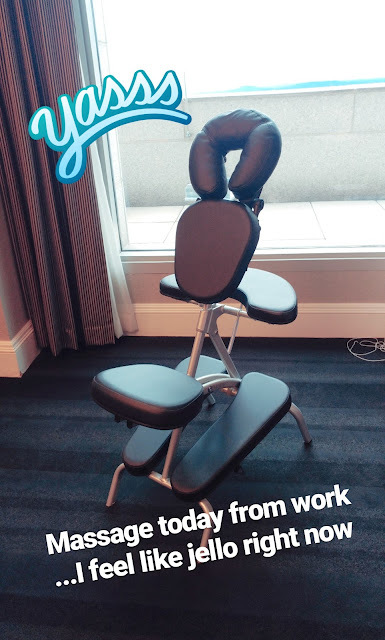 Yes indeedy... a massage... at work.... for free. Have I mentioned how amazing my work is??? They offered these for the employees for a free 15 minute massage. & let me tell you - my masseuse was ALL about getting the stress out of my shoulders. I ended up walking back to my office feeling like jello & loopy headed. & do you know I woke up the next morning & felt like I was in a fight. I couldnt for the life of me think why I was so sore. Did I sleep wrong? Did a dog lay across my neck at night? ... & then it hit me when I felt the pain go across all my upper back - OH YEAH - my massage. It was really nice though. Makes me want to go get more of them. But so grateful for a free one!!! My brother & Ricky take different days to do dad's horse & one of the days that was Ricky's, he went out of town to hear his girl give a presentation at her old alma mater. So I took the responsibilities of taking on the horse chores all on my own. & it went really well actually. Proud of myself. I always wanted to be able to know how to do it on my own in case something like this happened - & now I feel more confident if something should happy to both Tony & Ricky on the same night. 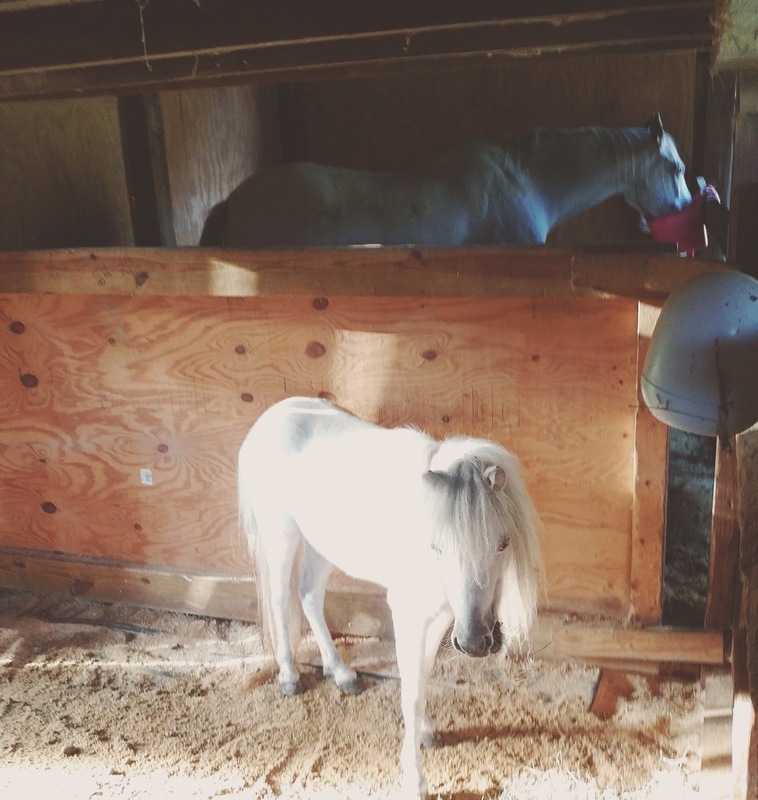 & I have to say, there really is nothing like a big horse that just stands on your shoulders & just wants attention. It's like a big dog really. Who pees & poops a LOT more than a little bow-wow. So going off of why Ricky couldnt do the horses - he went down to EKU to hear Julie give her presentation. I was so glad that her husband recorded it so I could hear it all & see what an incredible job she did (not surprised at all). Ricky just has talked about it & talked about & just so proud of her. She's worked hard & deserves every credential & pat on the back & all the attention her work has discovered. So thankful for her dedication to what she does.... even if I do cringe & give her grief over lab animals. I get it serves a purpose that can change lives. HERE is the link to her presentation she gave.... it's so interesting to hear her story - even if you just listen to the first part of it, it's so cool to hear Julie talk about her life & how it influences her to go into the field of science. How precious is this? A old high school friend sent this bunch of candy in the mail to me. What a total surprise! & what a yummy bunch of caramel. It's like something you'd find in a candy store on a ocean front pier. Delicious. & just so grateful for the sweet gesture. I honestly can't say enough how blessed I am to have the sweetest & kindest heart people in my life. 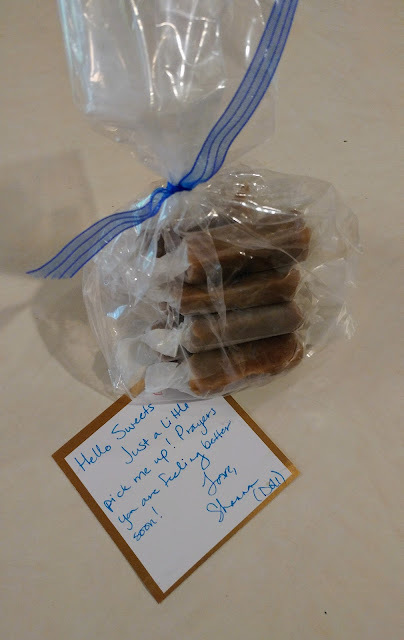 Thank you Shannon!!!! Speaking of sweet & kind friends.... 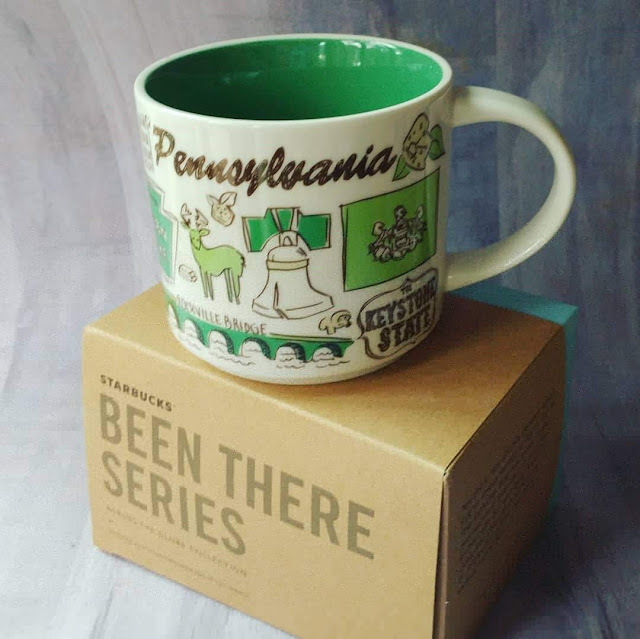 I was super blessed with ANOTHER Starbucks mug - from PA. Which I am loving that this is making me look up where states are & to really look at the mugs & see what some things represent. This just made me laugh seeing the YOUZE... which made me think that would be on New Jersey's mug actually. But I never realized how close PA was to Kentucky and Indiana. Not as far as I first thought. These Starbucks mugs are giving me all sorts of geography lessons!!! 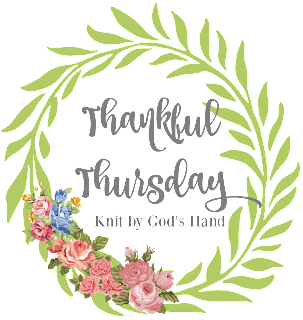 Thank you so much Stacy for the mug & always your sweet support of Thankful Thursday & all my blog posts. You are just such a dear soul that I am so grateful for!!! ... stop over & visit Stacy & give her some encouragement. 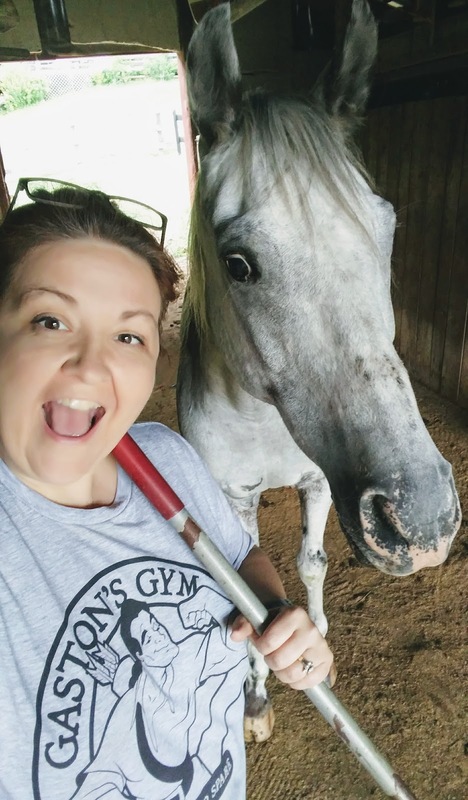 She just started a new job that is so inspiring in what she's doing!!!! They have the road blocked down a lane on the way home so it takes me nearly an hour to get home every night. 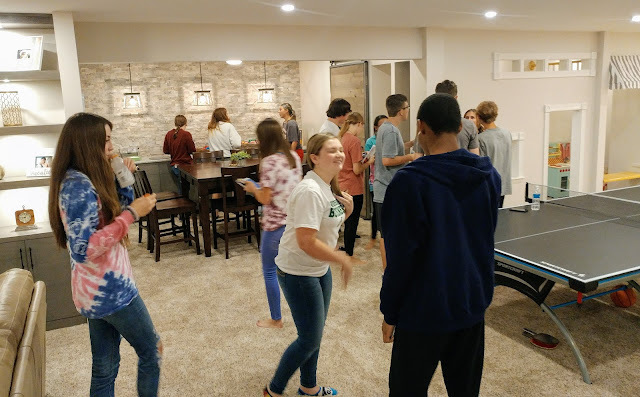 So when I have HSM home groups, its sort of ridiculous for me to sit in an hour of traffic to get home & LITERALLY turn around & drive another 35 minutes in the opposite direction to get to the host home. So I've just been sticking around the area after work until group time. 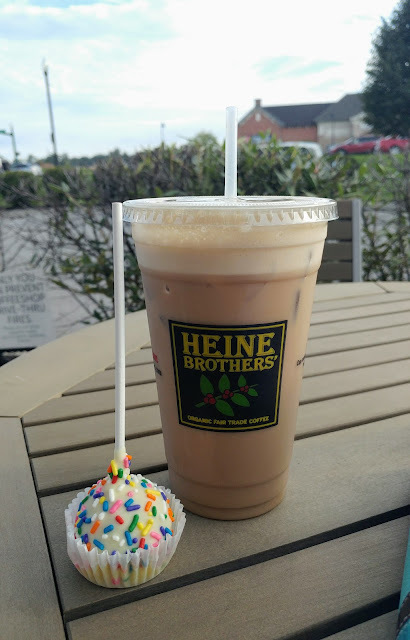 & I'm so thankful there's a cute little coffee shop that has some yummy drinks & a relaxing atmosphere to sit & read... & have a cake pop... until its time to meet up with our gang. Speaking of which.... we had nearly double the girls at our group this week!!!! They were so full of some fantastic questions. & I love it even more when they were trying to answer the questions amongst themselves. Tapping into some great thoughts. These girls are incredible y'all - just incredible. I love my library. Simple enough. Saturday, after we spent over 2 hours in the bank with our investor, Ricky &I went out for a lunch date. We haven't been out to a restaurant in forever to have lunch or dinner. So it was super nice to enjoy that time with him. 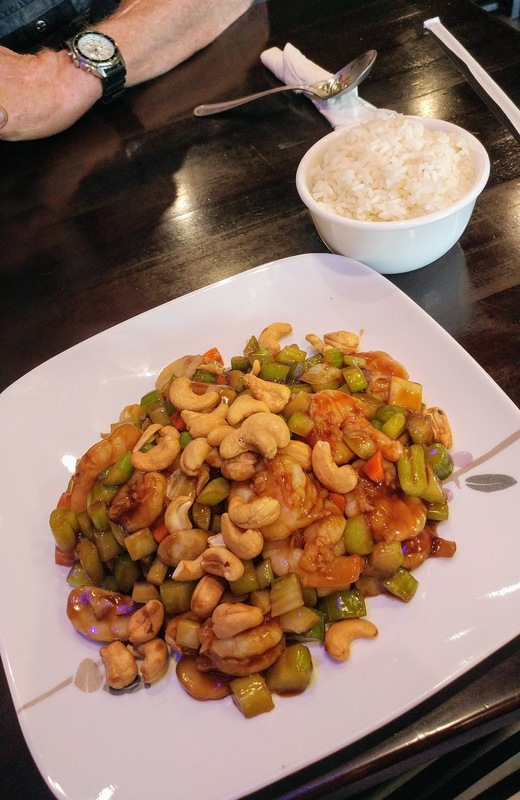 Chinese... give me ALL the cashews please!! !